Do I need a Female Wedding Toastmaster? We feel very proud to have 2 female toastmasters (or toastmistress) as part of our community here at the UKAWP. 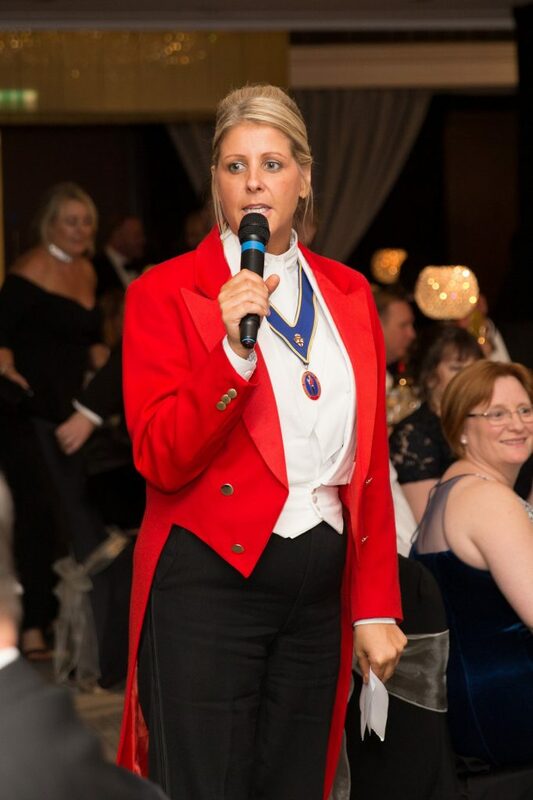 In this article both give their advice on how to choose a toastmaster and what the benefits are on hiring one for your wedding. 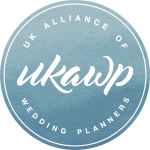 There are many elements to your wedding day that will have to happen at a specific time and the last thing you want is to be clock watching on your wedding day. Your venue could provide management within their hire fee, but they only work for the venue and have their interest first and many elements like entrances and cake cutting go unnoticed. 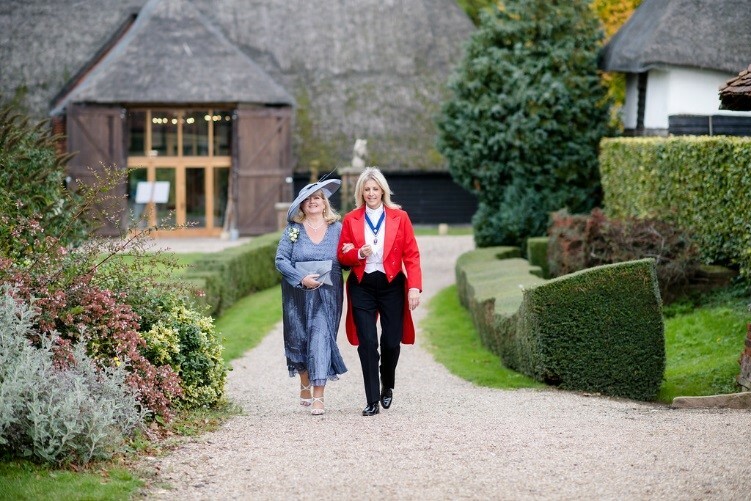 An independent toastmaster will have the best interest of the Bride & Groom and will also look after all of your guests. When planning a wedding or event, think of it like a unique production. It will require lots of direction, stage management and excellent communication. Your toastmaster is your visual spokesperson. They are formal in their uniform, which normally includes a red tailcoat. Even if you have a wedding planner they may well blend into the background whereas a toastmaster invariably will be more prominent. What does a toastmaster do at a wedding? Duties will vary from client to client but heres a quick summary. A good toastmaster will go through your wedding on a pre planning meeting and come up with agenda items that you may not have even thought about. 2) Orchestrating your formal announcements on the wedding day (speeches, cake cutting, first dance, bouquet toss) and of course giving you the best entrance possible. 4) Liaising with all your suppliers to ensure they have everything they need to carry out their own duties. 5) Working with the caterers and venue staff to ensure the day runs to plan and to generally take away any ambiguity from the day. 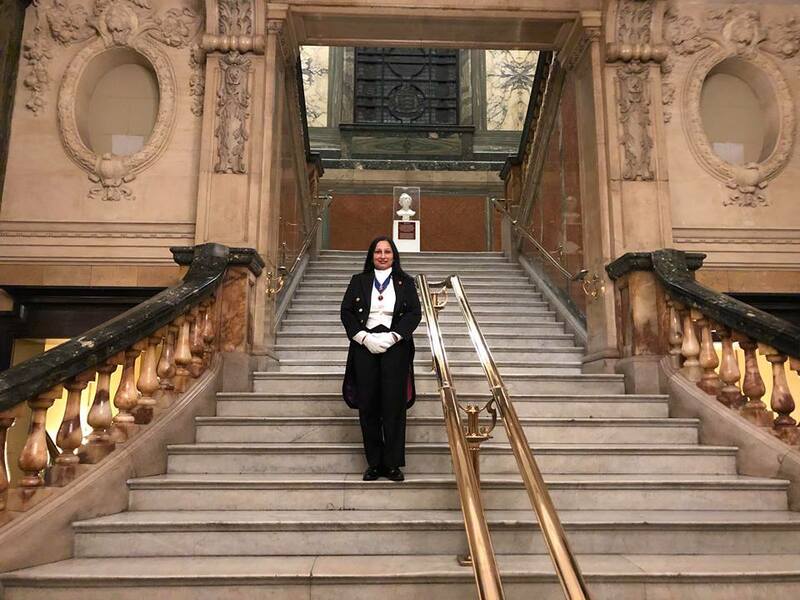 Will a toastmaster personalise my day? Absolutely! All toastmasters will provide clients with a detailed planning meeting where they can gauge your personality in order to make suggestions for your wedding day. How do I choose which toastmaster to book? Spend some time searching online for toastmasters and check their websites and social media feeds. Can you get a sense of their personality? Is this aligned with yours? Once you have shortlisted contact them and ask which Toastmasters association they belong to and whether they are insured. There are a lot of people who call themselves Toastmasters but have not received any formal training. Look at the uniform properly, are they wearing a collarette with a medallion showing their association (also known as a medallion ribbon) and do their trousers have double stripes on the sides. If yes, there is more chance that they have been properly trained, are part of an official association and are insured. 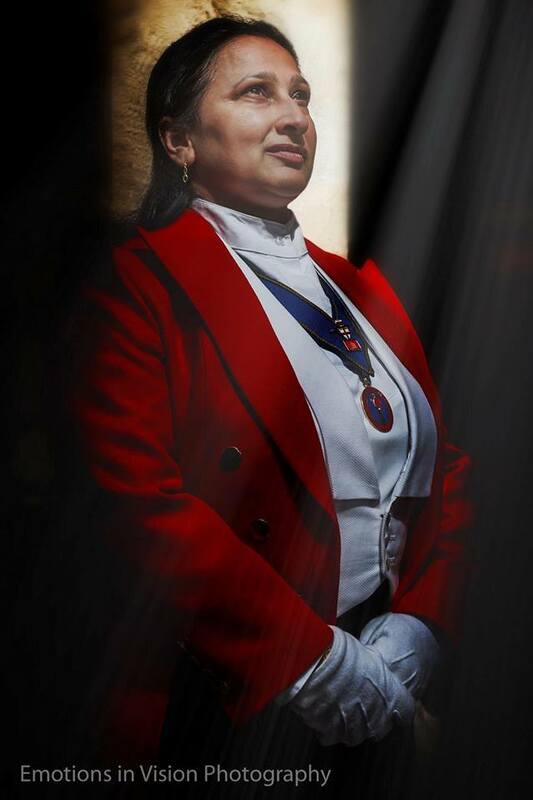 And talking of uniform ask what options they have available, so the red tailcoat only or a black tailcoat option as well like Sonal is wearing below.